See press release below from Hay Group announcing the latest Best Companies for Leadership study. There are some interesting findings. See complete list at the end. I don’t know about you, but I like these annual awards. The cynics might say they’re a lot of PR and questionable criteria or methods. I’ve found them to be pretty accurate. Based on the networking I do, it seems like the ones that really have their act together around leadership development are consistently on these lists. For example, I just talked to the head of leadership development at 3M. They’re on this list and #1 on the Fortune/Hewitt list. Their CEO is committed to leadership development, they invest a lot of time and money, and they’re using every best practice in the book. The companies on these lists are serious about leadership development and damn good at it. I just want to learn from them and help my company (and Great Leadership readers) get better. PHILADELPHIA, PA February 17, 2010 – Hay Group, a global management consulting firm, and Bloomberg BusinessWeek.com released today the Best Companies for Leadership Study and Top 20 list. For the first time, Bloomberg BusinessWeek.com partnered with Hay Group on its annual study, which ranks the best companies for leadership and examines how those companies develop leaders. General Electric ranked as the top company for leadership, followed by Southwest Airlines, 3M Company, Procter & Gamble and Accenture. The Top 20 companies continued to make leadership development a priority over the past year, in spite of the economy. Employees at these companies were asked to what degree in the last 12 months the urgency to develop leaders in the organization had increased -- the Top 20 indicated an 8.8 percent decrease, compared to a 13.8 percent decrease for all respondents. "The Top 20 Best Companies for Leadership not only entered the recession with strong leadership in place, they maintained their commitment to preparing and retaining leaders – and are highly committed to developing leaders within their ranks," said Rick Lash, Director in Hay Group's Leadership and Talent Practice and co-leader of the Best Companies for Leadership Study. "The study also revealed a shift over the past year in what these companies value in leaders. ‘Strategic thinking’ and ‘inspiring leadership’ are the most valued qualities in leaders this year, indicating that businesses are starting to dig out from the turmoil and are thinking more about their future long-term growth again." The study also identifies a variety of factors that make the Top 20 Best Companies for Leadership stand out when it comes to identifying and developing great leaders. Ninety percent of respondents in the Top 20 agree that all employees at their company have the opportunity to develop and practice the capabilities needed to lead others, compared to 67 percent of all respondents. Nearly all of the respondents in the Top 20 (85 percent) said that employees are expected to lead, regardless if they have a formal leadership position, compared with 57 percent of all respondents. In addition, 86 percent of respondents in the Top 20 said that employees are encouraged to learn in areas outside their expertise, compared with 66 percent of all respondents. Hay Group has researched the Best Companies for Leadership since 2005. The 2009 survey included responses from 1,869 individuals from 1,109 organizations worldwide. The survey was based on the organization’s response to an online questionnaire and peer nominations. Respondents that completed the survey were from 98 countries, with 45% from North America, 27% from Europe/Middle East, 16% from Asia, 6% from South America, 3% from the Pacific, and 2% from Africa. We have over 2600 employees working in 85 offices in 47 countries. Our clients are from the private, public and not-for-profit sectors, across every major industry, and represent diverse business challenges. For over 60 years, we have been renowned for the quality of our research and the intellectual rigor of our work. We transform research into actionable insights. We give our clients breakthrough perspectives on their organization, and we do it in the most efficient way to achieve the desired results. For more information please contact your local Hay Group office at http://www.haygroup.com/. The list of things that make these great companies for leadership development is impressive. How do you apply these lessons to small business. A staff of five or eight or even 25. The opportunity for promotion and growth may be limited. Lateral moves don't really exist. 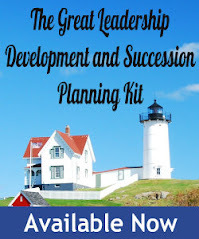 I'd love help to implement great leadership development with small staff companies. Interesting list. GE demonstrates the lasting impact of Welch's super commitment to developing a leadership development program. Yeah, there are lessons to be learned, but the small business experience is extremely different than that of the large corporations. I guess the little guys need to take what they can and come up w/ alternatives for the rest! This is an interesting study. 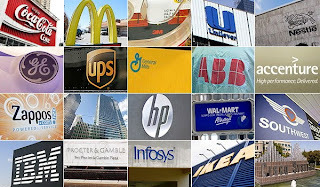 It's not surprising to me that these companies would have great leadership. It's difficult to be a successful, world reknown company if you don't have good leaders. I'd be interested to find out how these 1,869 individuals from 1,109 organizations were selected. I think randomly selecting respondants in non upper management roles would most likely give the most accurate survey results. Very Interesting list and post.